For all work on the brakes : Brakes are a safety relevant part. The Repair has to be done buy a specialist. All instructions without any guarantee! All Data for a 240 GD 10/1979. 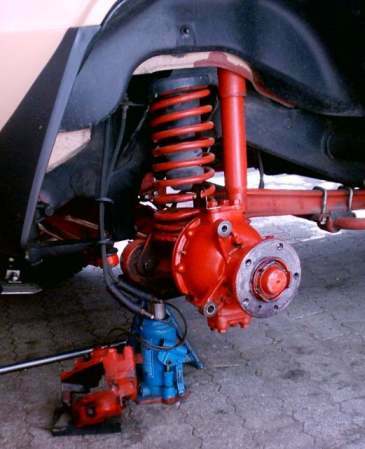 This can be a longer operation or an easy one, depending on the Brake condition. First, spray a rust -disengager onto the two big srews (19er wrench size) on the inside of the caliper. This rust -öser must have good creeping properties (no normal univeral oil). 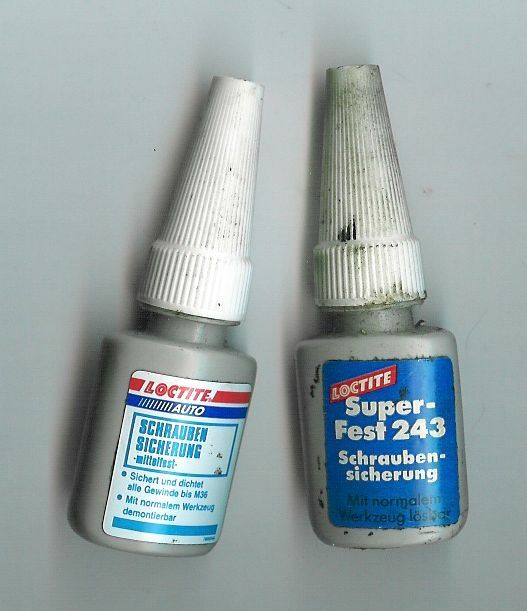 Before that you'll have to get new screws or a bottle of Loctite (Sicherungsmittel). A biological rust-disengager with good properties is delivered from 2M. It is harmless for the skin, has good creeping properties, remove rust from brown shining plastic (rubber) parts that he will good protect. Now the brake pipes have to be removed and the brake pads de-installed. (see Tip13). Untight the two screws, using a special tool. 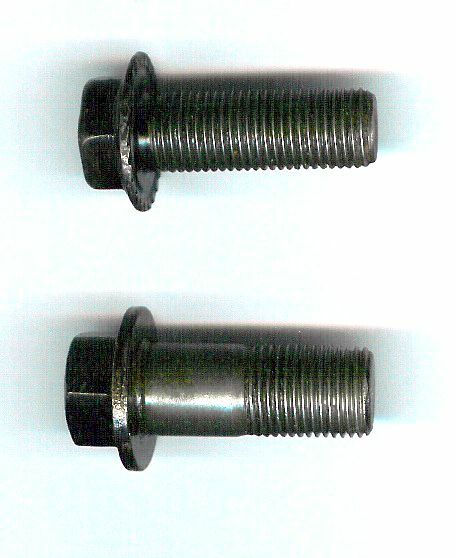 DC recommends to use a cutted nut (19er) . 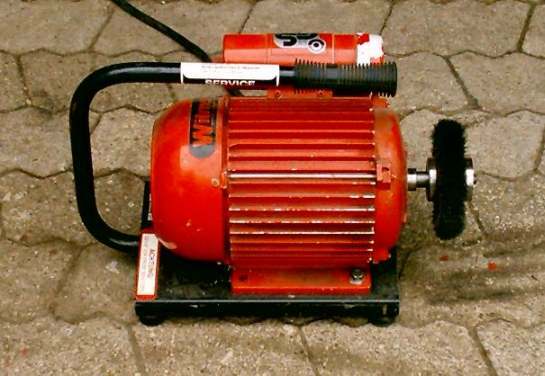 With a shorter insert and a 1 meter long pipe, you can loosen also tight screws . Cranked ring spanner wrenches are not useful , because they tend to deform the screw head when sliding sidewards. 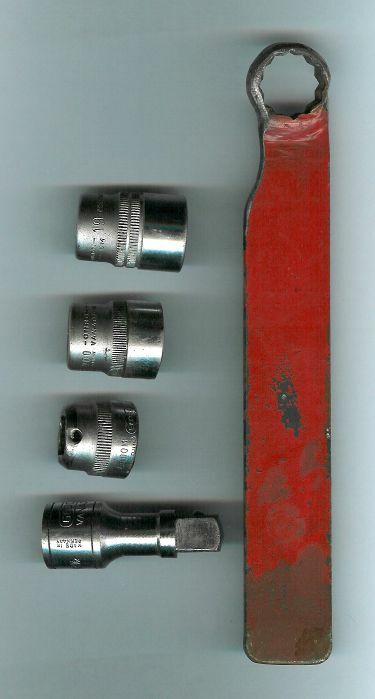 Corroded screw heads can be loosen with a pecial tool from Metrinch. These tool does not use the edges of the screw. Use a hammer (not too much) onto the head to help removing the rust. Best practise is to use a Truck automatic wrench (pneumatic), but this is not all time available ! On one hand you can use a new screw (easy, but expensive),or you derust the old one with a rotationary steel brush (protect your eyes). Make sure the screw is in "not too bad" condition.. Protect the head with Epoxy Brunox. Then you need Loctite in order to gurantee tight seat. The special screw is very robust. Use a torque meter to tighten both screws.! A 460 421 02 71 - 5,73 Euro incl Tax.